The Dutch formation Tristan consists of the band members Evelyn Kallansee (vocals), Guy Nikkels (guitars), Coen Molenaar (keyboards), Sebastian Cornelissen (drums) and Frans Vollink (bass). Their debut album Full Power (2014) features US soul singer Heston, UK saxophone maestro Nigel Hitchcock and legendary American trumpeter Randy Brecker. Their sophomore album 2nd Phase followed in 2015. Further albums are Lifestyle (2016) and a Live in Concert album (2017). 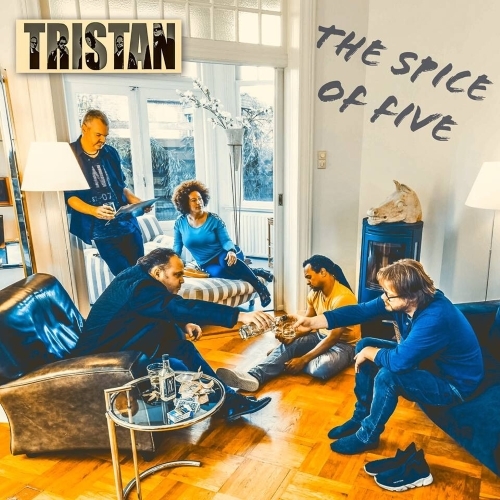 Their new album The Spice Of Five will be released on April 5, 2019. This time the band didn’t invite other musicians but relied on their own values. The result was a studio album that is quite close to their live music and fully reflects the character of the band. Hands Up is the ultimate request to the audience to surrender their sympathy for the inviting sonic sound of the group. Stylistically the band stays closely to formations like Incognito, Brand New Heavies or Shakatak whereby the group seeks its own European approach.